The U.S. Army is taking a page out of a Hollywood script for its latest armor design. Special Operations Command is partnering with universities, laboratories and the tech industry to design an Iron Man-style suit that would be worn by soldiers in the field. The Tactical Assault Light Operator Suit, or TALOS, would comprise layers of smart material and sensors, better enabling and protecting soldiers during combat situations. TALOS was first unveiled by Adm. Bill McRaven, top officer of the Special Ops, at a conference in May. He said the armor was inspired by the death of one of his troops in Afghanistan. "One of our folks going through the door was killed by the Taliban on the other side in an attempt to rescue a hostage," McRaven told National Public Radio. So how will the suit make soldiers tougher? One way is by giving them a thicker, more pliable protective layer. Norman Wagner, a professor of chemical engineering at the University of Delaware, is using nanotechnology to create a liquid-ceramic material. The moment the thin, liquid-like fabric is hit with something — say, a bullet — it would immediately transform into a much harder shell. "It transitions when you hit it hard," Wagner told NPR. "These particles organize themselves quickly, locally in a way that they can't flow anymore and they become like a solid." The design of the suit also includes an attachable frame, creating an extra layer of mass and force in the form of an additional exoskeleton. Gareth McKinley, a professor at MIT, said that it would be along the lines of the external suit worn by Sigourney Weaver in Aliens. In a statement, the U.S. Army said the suit promises to provide superhuman strength to the wearer. Aside from strengthening soldiers, the exoskeleton also includes attachable, hydraulic arms and legs. These limbs would amplify any motions of the person wearing the exoskeleton, including boosts in speed and overall mobility. In addition to enhancing the wearer's strictly physical capabilities, the Iron Man-style suit would also improve a soldiers' visual senses by giving him an image of the entire battlefield. The suit would include a wearable 360-degree, night vision computer (think Google Glass), giving the wearer the ability to look into the corner of the eyepiece and see the enemy's exact location. The tactical benefits of this last feature are far-reaching, particularly because it would provide a definitive edge during on the ground military missions. 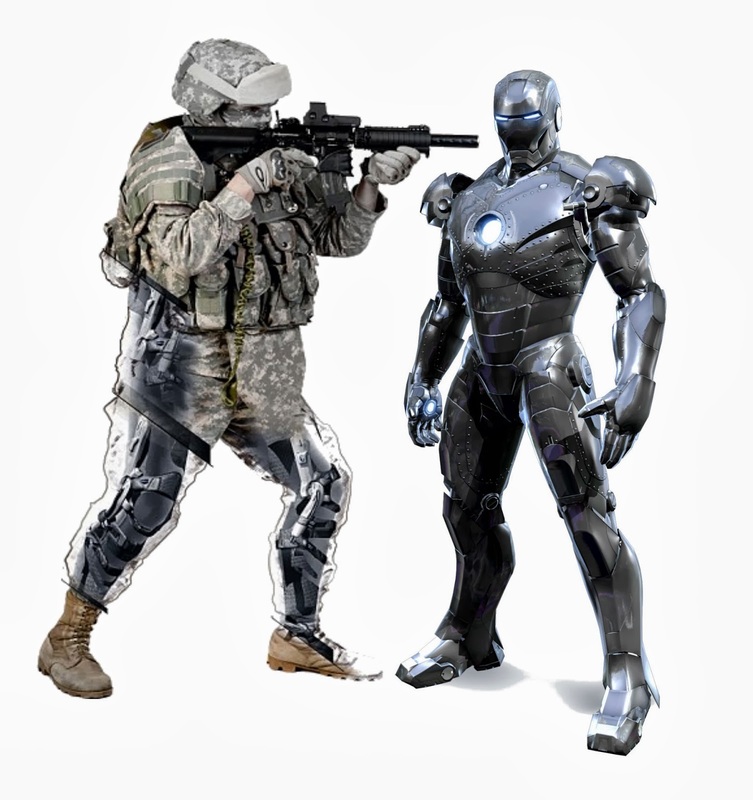 Furthering the Iron Man similarities, the suit will also have embedded sensors designed to monitor body temperature, heart rate and hydration levels, providing a detailed and accurate report of the soldier's health. The researchers behind the project hope to have a working TALOS prototype within the next three years. Until then, it looks like Tony Stark is the only one who gets to wear anything close to it. What do you think of TALOS? Let us know in the comments below.